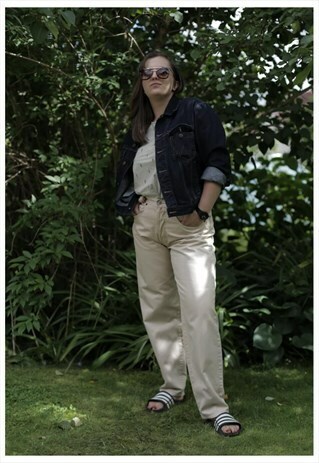 Vintage 80's classic beige buttons up fastening jeans. Made in Italy. UK size not written but looks like 14. Model size on the phoyo is 14. Measurements: length 42 inches, waist 31.8 inches, hips 42 inches.